Planting, growing and harvesting different varities of lettuce plants is easy and great fun. How much sun and water the lettuce plant needs to grow. How many lettuce seeds do you plant in one hole? How long does it take for a lettuce seed to germinate? If you have a small garden or only a yard or patio then you can successfully plant lettuce seeds in containers or pots for a great harvest. There are numerous varieties of lettuce that can be grown very successfully. They all have different tastes and textures. If you are not sure which lettuces to grow you can buy a mixed seed packet and see which ones you prefer. Lettuce is prone to be eaten and damaged by slugs and other garden pests. There are a few simple ways to protect your plants which I will explain here. 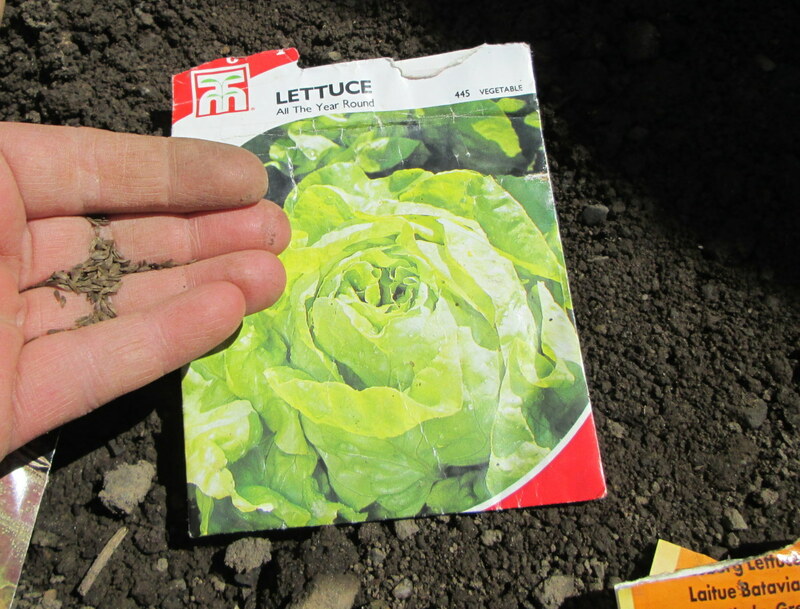 Plant out lettuce seeds in early spring once the frosts have gone. That is March or April here in Ireland. Lettuce grows best in sheltered areas with a few hours of direct sunlight. Plastic pots or large garden bags are best. They do not have to be too deep but a wider surface allows you to grow more lettuce.plants. Do not use clay pots because there is always the danger of the soil drying out in summer. All containers used must have proper drainage to avoid water logging the plants. 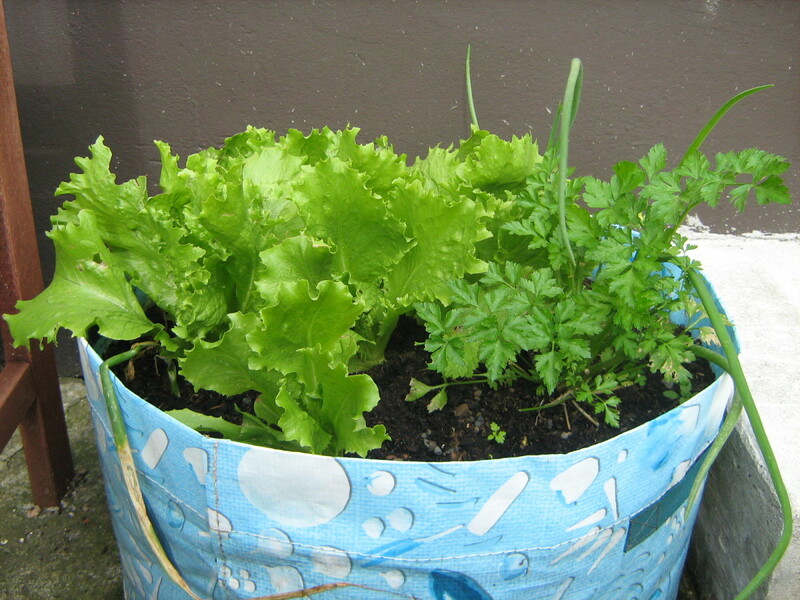 You can plant lettuce seeds directly into your containers or pots or put them into seed trays. I prefer to plant them in seeding trays and then transplanting them into the containers. This way I have more control over how the lettuce grows. Add fresh compost into the trays and water well. Take out a few seeds and put into the palm of your hand. Using your other hand pinch out a few seeds and sprinkle onto the soil. If the tray has compartments put four into each corner. If the tray is open then make a line down the soil before you place the seeds into it. Lettuce seeds are very small so you are bound to get a few bunched together. Move them around with a thin stick if possible but if not you can thin them out later. Cover the seeds very lightly with some compost. Water with a watering can with the spray attachment. Place the trays in a sheltered but sunny position either in the garden or on your patio. 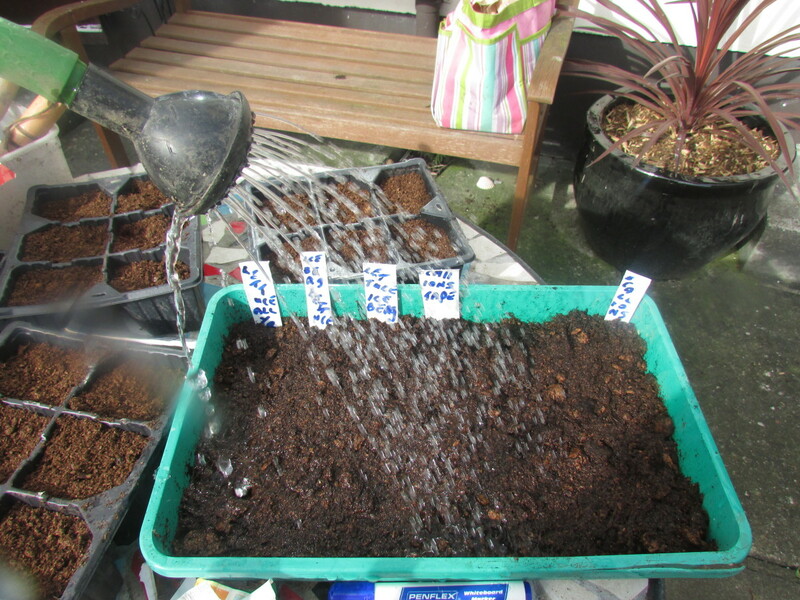 Do not let the seed tray dry out but at the same time do not over water. It will take about two weeks for the seeds to germinate. Once you see that they have four leaves and are about two to three inches high then it is time to transplant them into the containers. 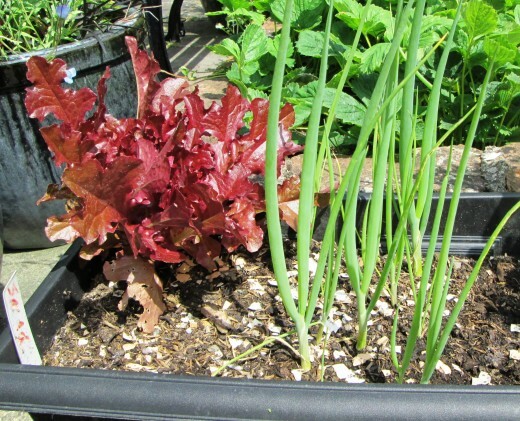 Make sure whatever pot you are using to grow the lettuce has plenty of drainage. Prepare the containers by filling with new compost and water well. Soil from the garden or compost used last year is not suitable. 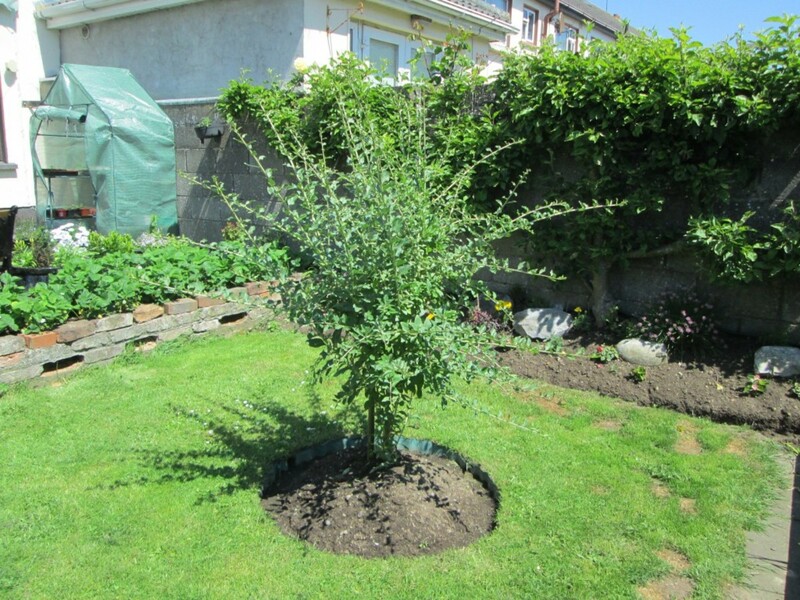 Make small holes in the soil where you want to put the plants. 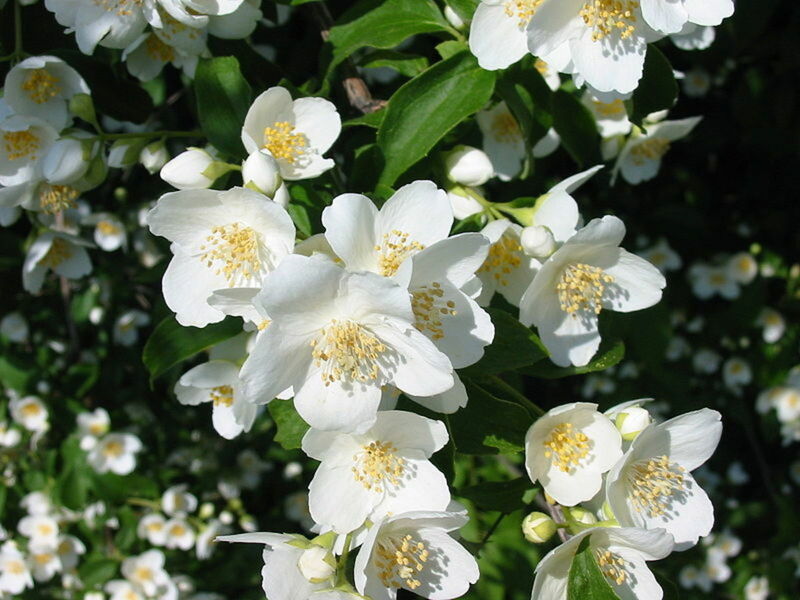 For the varieties that grow a heart you will need to leave more space between plants, around eight inches. For the varieties where there are only leaves you can space them closer together. 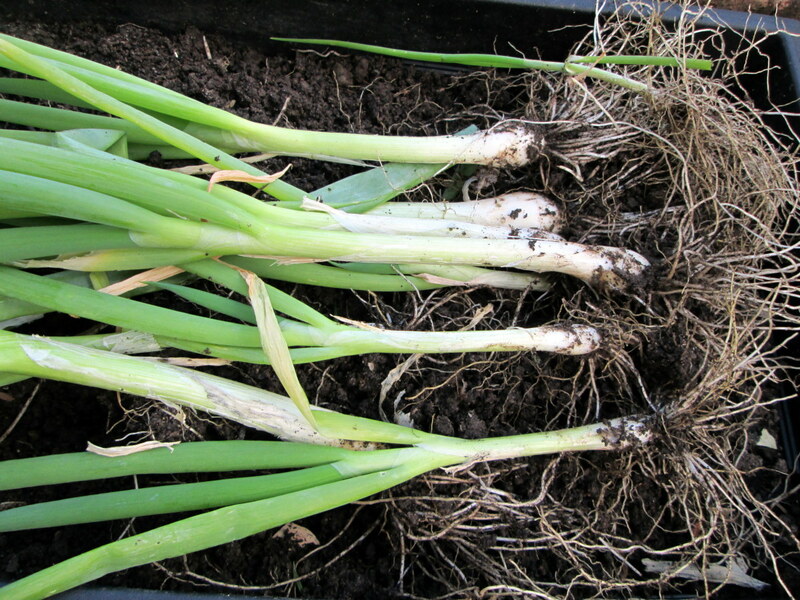 Put into the container and firm the soil around the plants. Give a very light sprinkle of water. Add mulch to the soil. This will cut down on weeds and help keep in the moisture. How to protect lettuce plants in pots and containers. By adding a mulch of straw or bark you are giving the plants the ideal conditions for healthy growth. You also need to protect them form slugs, snails and birds. Collect the egg shells from your kitchen into a small box. When you have a few crush then into tiny pieces. Place them around the surface of the container making sure to add more around the base of the plants. They do not like the sharp surface so will avoid it. Prepare the container as per directions set out above. Scatter the seeds as thinly as possible onto the soil. Once the seedlings have germinated and are around two to three inches high with four leaves then it is time to thin them out. Pick the best looking plants to keep and gently pick out the smaller weaker plants with a thin stick. You can transplant these into another pot if you have not damaged them. Continue to look after the plants as set out above. For the leaf lettuce it can be picked at around twenty five days after planting. Earlier if you like smaller leaves. Always pick from the outer side of the plant as this will allow the lettuce to produce more leaves. I only pick what I am using that day as that way you can eat your lettuce at its freshest. The leaf lettuce varieties grow for about five to six weeks after planting. Once they have matured the whole plant should be cut with a knife. 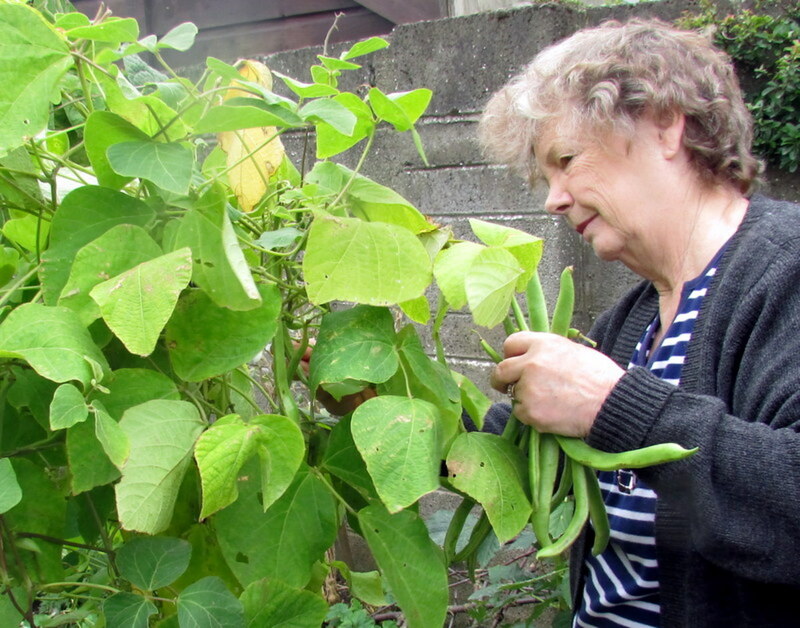 Gather the leaves in one hand and cut at the bottom leaving the roots still in the soil. For all heart lettuce varieties it take about six to seven weeks for the plants to mature. You can pick some of the outer leaves from these too while it is maturing. Cut the head lettuce at the base of the plant with a sharp knife. This way you are not disturbing other plants in the container. You can remove the remainder of the roots when all the lettuce and other vegetables have been harvested. As you can see from these instructions once you know the few rules of growing lettuce it is easy enough. You can have have a steady supply of home grown lettuce in your garden or on your patio. You will be able to enjoy eating the lettuce in salads, sandwiches and as side dishes with meals. My lettuce has brown leaves with brown edges. What is the cause of this? 1. This is a sign that the roots have dried out. 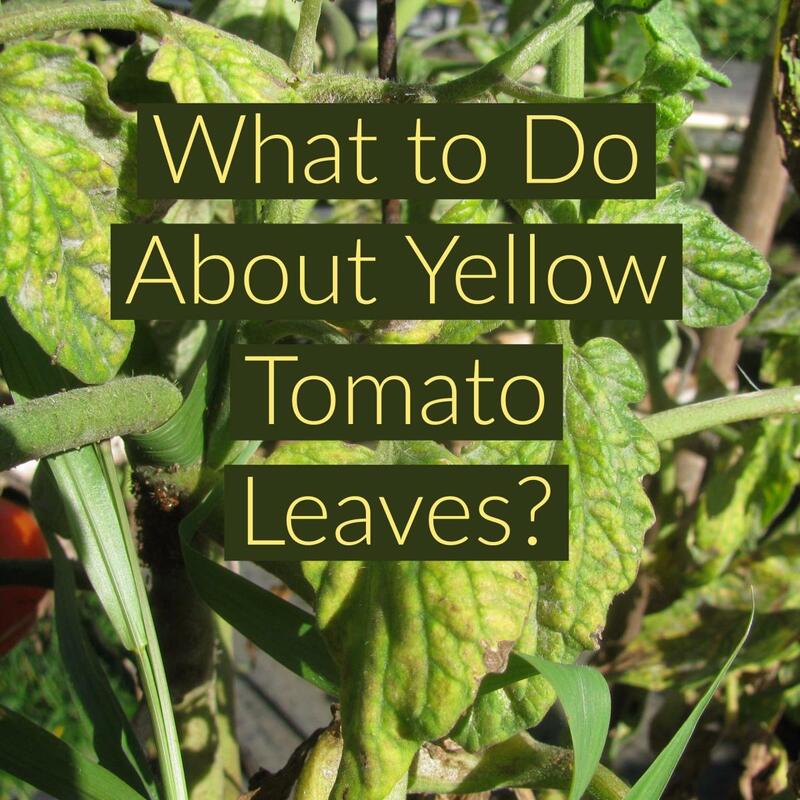 Cut off the brown leaves and make sure to water the plant's roots regularly. 2. 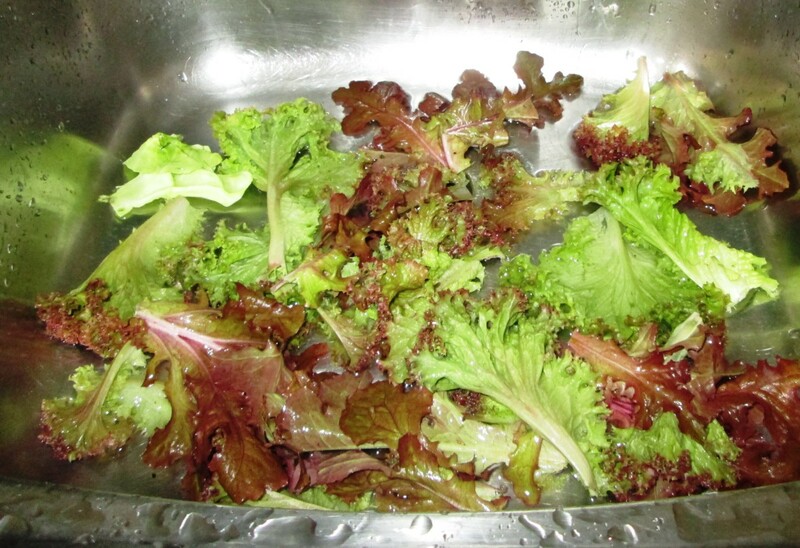 The lettuce plants are too close together, and the leaves are turning brown because they do not have enough space to grow properly. I'm not much of a gardener but I think you may have inspired me to try lettuce. Will let you know how it goes. Great hub on growing lettuce in containers. Keep up the good work! Gardener Den. 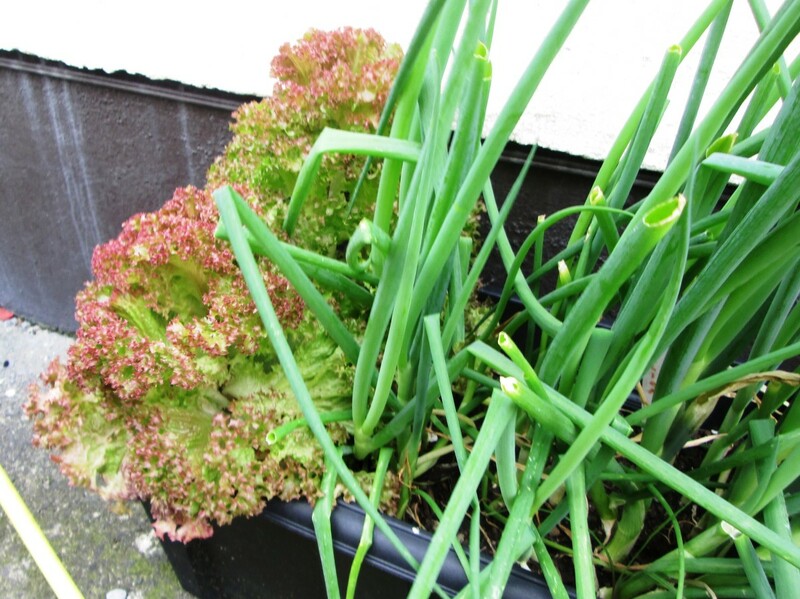 Lettuce, scallions and peppers are great vegetables to grow in containers on a patio or balcony. 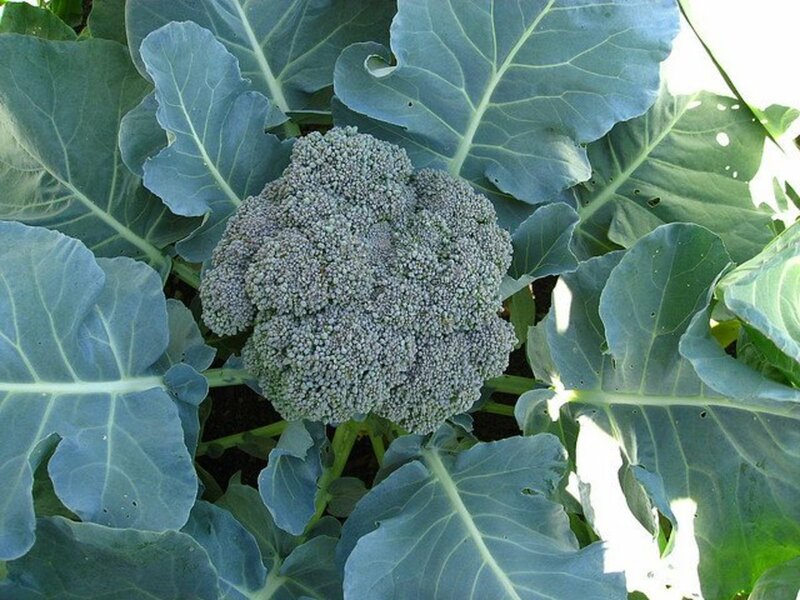 Have ago hellovictoria because they are easy ones to grow and can all be picked as you need them for a fresh salad. 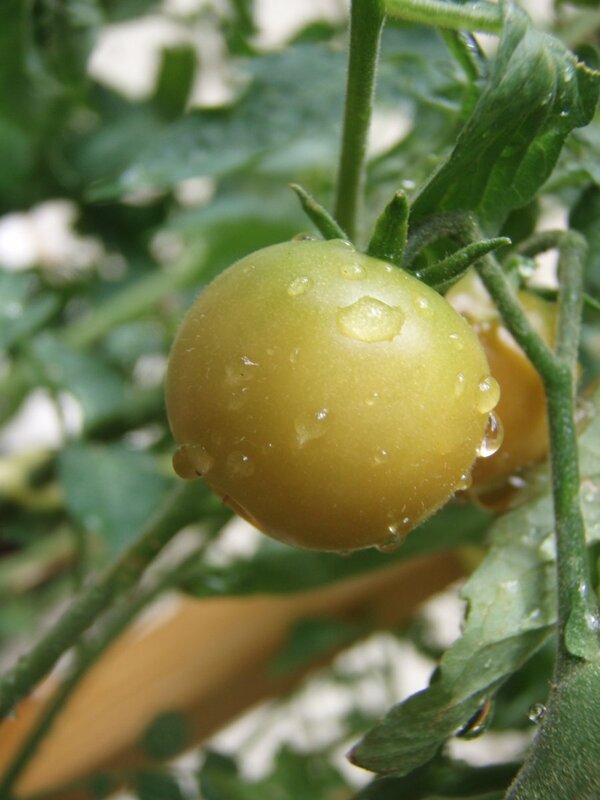 Cherry tomatoes are good for patios too. I grew one plant of the hanging variety in a pot that I hung on the wall and it produced lots of tomatoes. Easy to follow tutorial here, nice job! I have never grown any of my own vegetables but would like to start soon. I like the idea of fresh vegetables to eat every day. Great photos, too. I've been looking to grow some different food variety plants on my patio. I don't know why I've never thought of lettuce. I'll definitely be doing this soon with the help of your tutorial! Thanks for posting! !